Penns station opened in 1879 on the then-Midland Railway's Walsall & Water Orton Branch as the first station on the line after leaving their Birmingham to Derby line between Castle Bromwich and Water Orton. 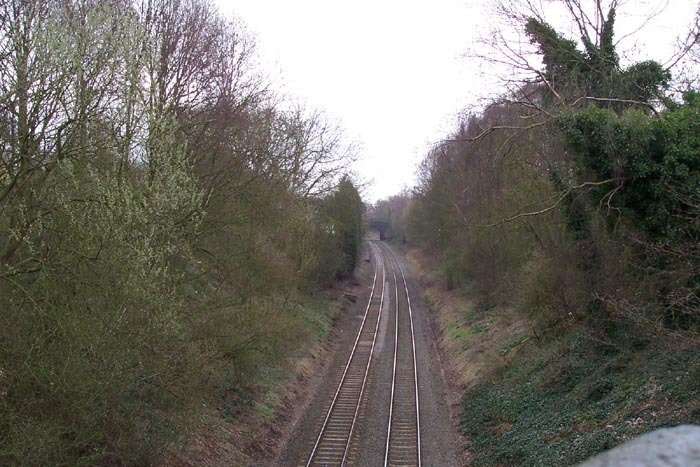 Above we see the station whilst operational (photo: E.S.Russell) with the Penns Lane overbridge ahead. 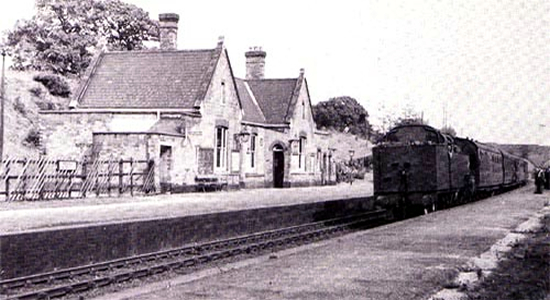 The station closed along with the others on the line (apart from Sutton Town which had closed previously) in 1965 with the line itself being retained for goods use: a purpose that it still performs today. Above-left we are on what was Penns Lake Road bridge but is now just a pathway through from Penns Lake Road, looking towards the site of the station which is immediately prior to the Penns Lane bridge ahead. On the englarged photograph you can just make-out the reminas of a platform edge on the left-hand side in the distance. 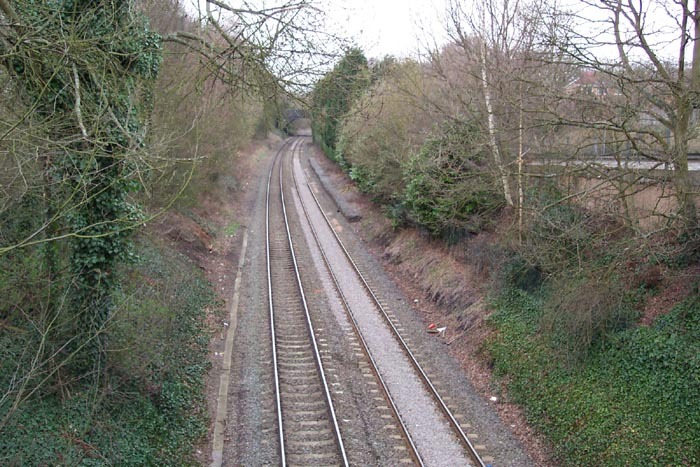 Above-right we are on Penns Lane bridge looking down to the site of the station - the building seen in the photograph at the top of the page was on the right-hand side in this perspective on the Water Orton/Castle Bromwich platform. No trace of the building remains today although the platform can clearly be seen - albeit having been cut back from the track somewhat. Above-left we are still on the Penns Lane bridge but this time looking towards the Walsall platform that appears to have been removed completely. Above-right we are looking at the spot in which we would have seen the rear of the station building during its operational years the site of which is now been used for a car park and a religious meeting centre.